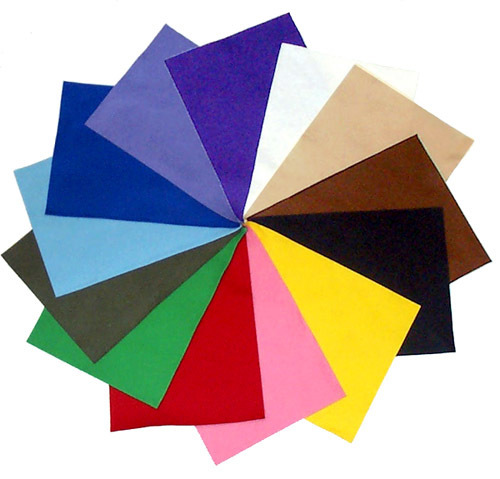 Great prices for soft, super quality 100% merino wool felt. 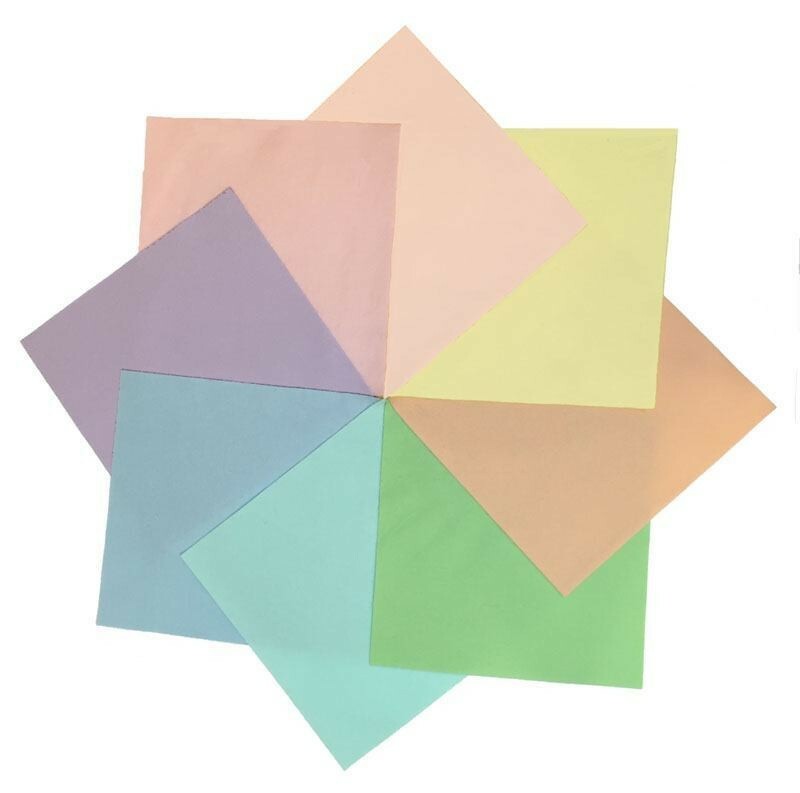 19 colors on sale! 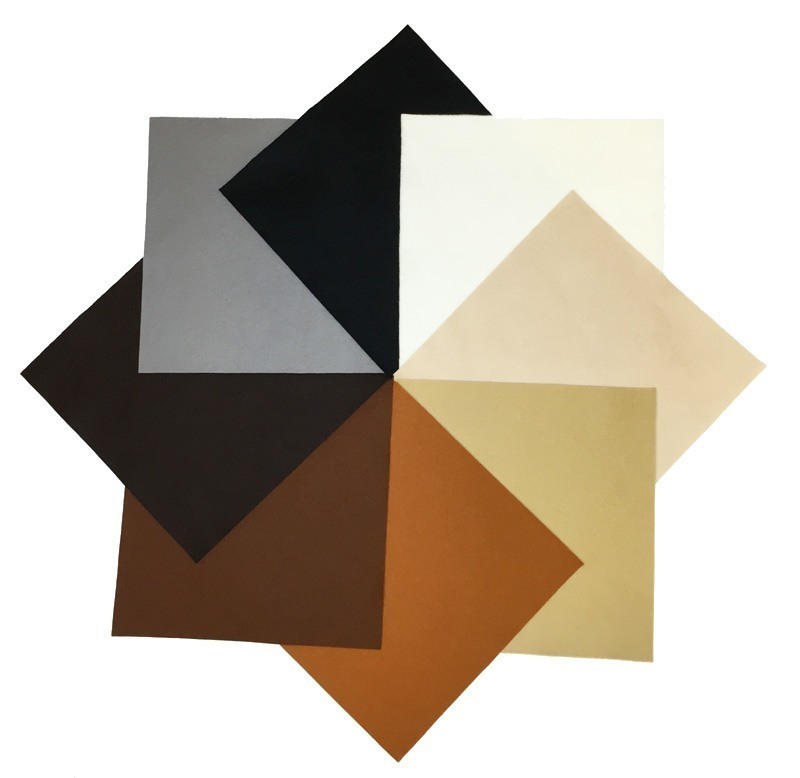 $1.95 / 8x12 sheet, $23.95 yard. High quality soft, fine 100% Wool Craft Felt, made in the EU. This is the high quality wool felt that is soft and fine to touch and makes crafting a pleasure. Pure wool makes this a high integrity felt that blend felt cannot compare to. Pure wool felt will not unravel, can be sewn close to the edge and will make you wonder why you ever settled for anything else. For fine hand working, dolls, needlework projects: by the yard, or in sheets and squares. 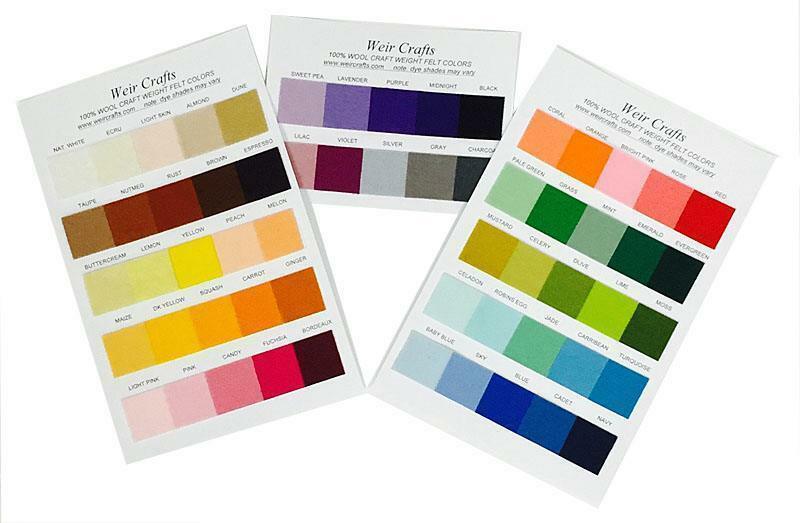 Click for information why wool felt colors may not appear accurately online. A 15% restocking fee applies to felt cut by the yard. 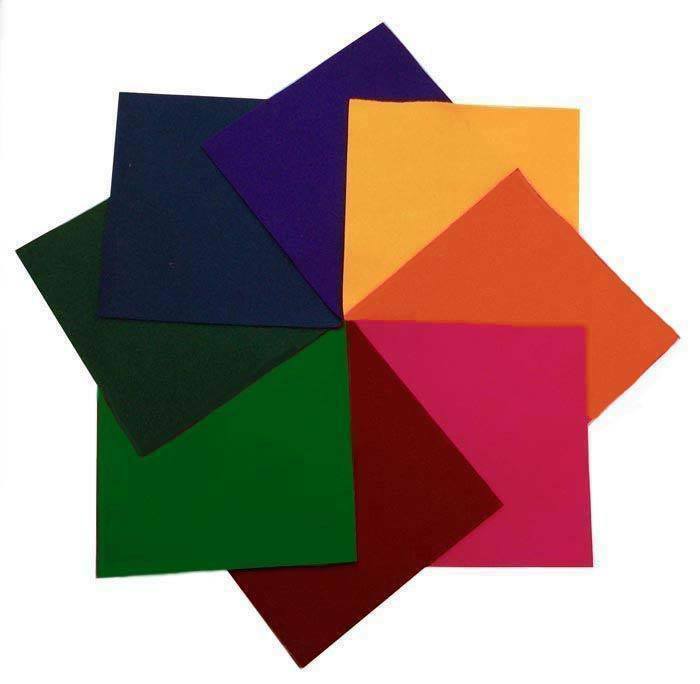 100% Merino Wool Felt in many colors; easy to work with medium crafting weight for most projects. Merino is the softest, highest quality wool felt, and a joy to work with. This high integrity felt will not fray, unlike wool blends. 1/16 inch (1.2mm) thick, 7-8 oz. per linear yard weight (36x36). All wool felt colors are certified to be free of any harmful or toxic chemicals, and are safe for children and pets. 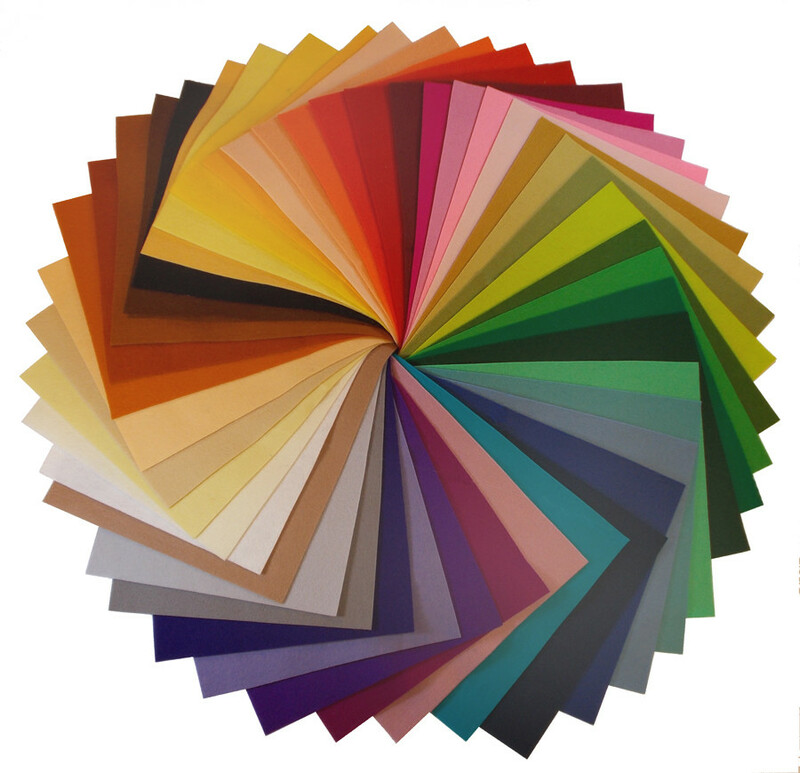 Colors are OKEO-TEK Standard 100 certificate #990585. From the EU, certified Cradle to Cradle purity. Is the wool felt you are buying 100% wool? If you buy it here it is! 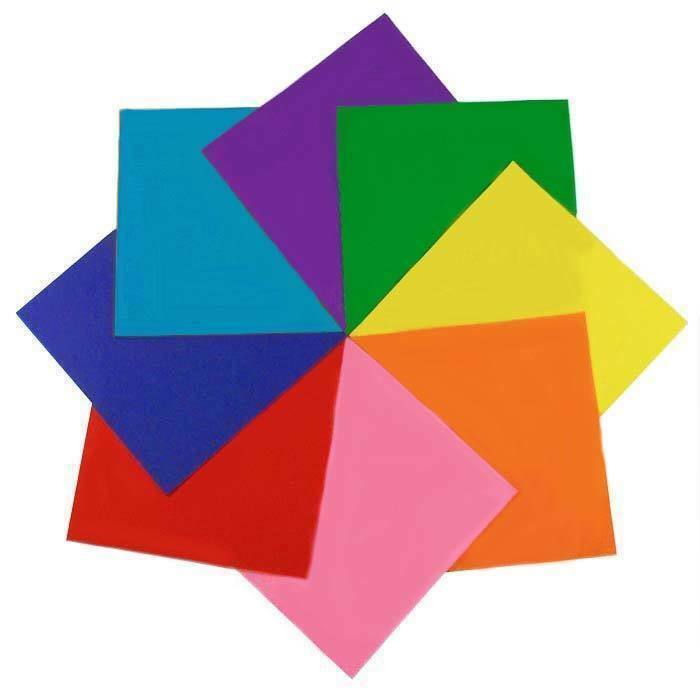 (r. colors) Means replaces a similar color we have carried in the past. See note below. New colors that replace old colors. These are colors that are closely related. 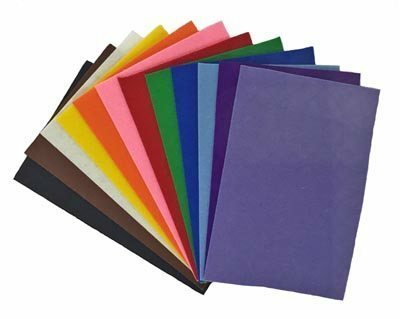 12 basic colors of 100% wool felt in approximately 4x6 inch pieces. 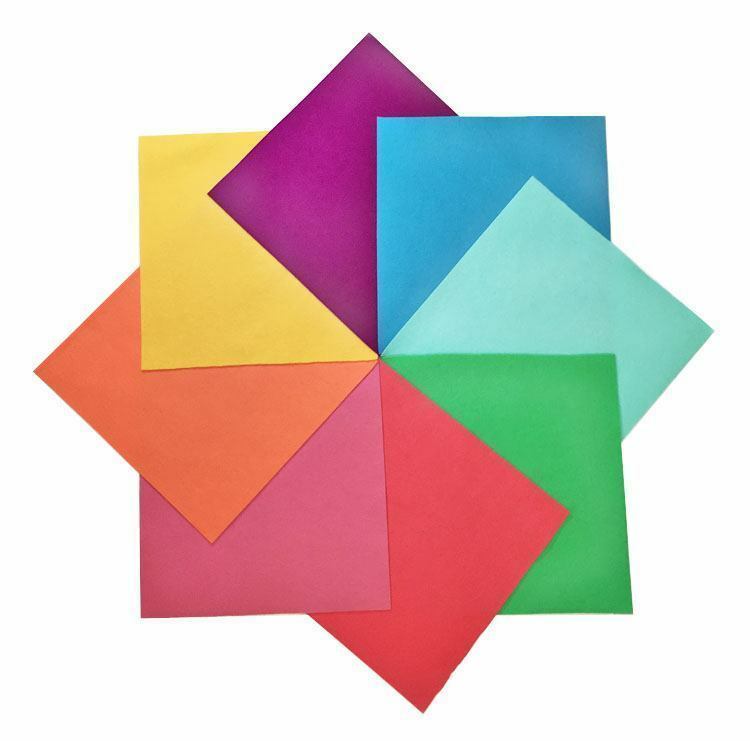 Approximately one inch square pieces of all of the 100% wool felts on this page, on cover stock cards for color matching.